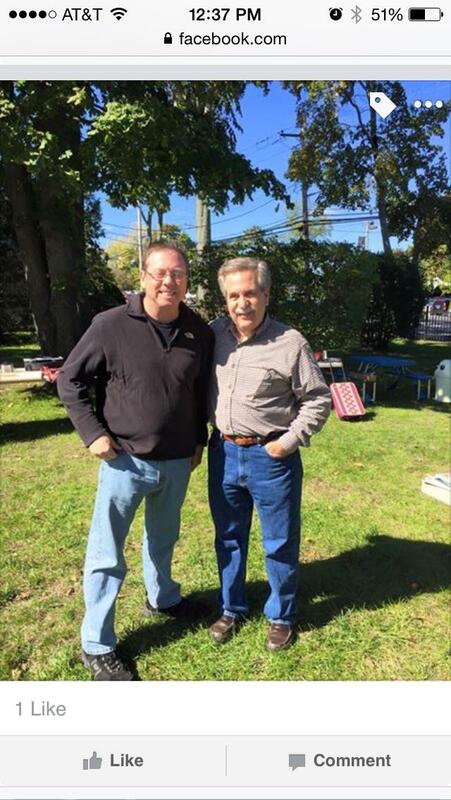 The Rotary Club of Islip held an Autumn Rummage sale on the grounds of St. Mark's. Over the course of the sale, which ran from 9 till about 2:30, we had around twenty Rotarians help out setting up tables and all the sale items, pricing things, collecting money, helping customers, and then breaking down. It was a great event which earned the club just over $600! Though obviously it doesn't sound like a great deal of money, keep in mind that most items were priced under $5 or so, and at the end of the day, its $600 that the club did not have. Plus, many of us were able to get rid of stuff we've been wanting to get rid of for ages! The fellowship was fantastic, the weather was perfect, and we all had a great time. Thank you Liz for co-chairing this event, Father Rick for lending us the church grounds, and everyone else who particpated, whether it was for five minutes or for five hours! The Islip Rotary Club held its Autumn Rummage Sale on the grounds of St. Mark's. Over the course of the sale, which ran from 9 till about 2:30, we had around twenty Rotarians help out setting up tables and all the sale items, pricing things, collecting money, helping customers, and then breaking down. It was a great event which earned the club just over $600! Though obviously it doesn't sound like a great deal of money, keep in mind that most items were priced under $5 or so, and at the end of the day, its $600 that the club did not have. Plus, many of us were able to get rid of stuff we've been wanting to get rid of for ages! The fellowship was fantastic, the weather was perfect, and we all had a great time. Thank you Liz for co-chairing this event, Father Rick for lending us the church grounds, and everyone else who particpated, whether it was for five minutes or for five hours!